If your focus is on achieving professional or personal development goals, coaching will help you to get results fast. It’s a proven approach: expand and challenge your thinking, increase confidence, create change. 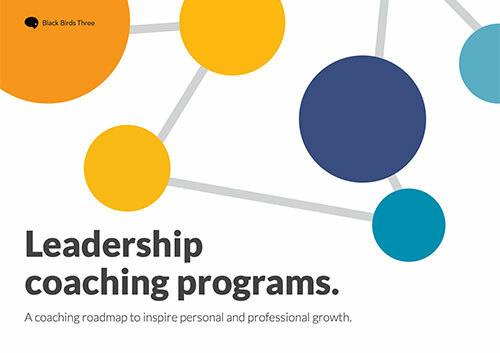 This coaching program draws from contemporary neuroscience, along with research from positive psychology, adult learning, narrative and somatic coaching, and systems and change methodologies. People seek me out for my experience in helping clients to make real progress. I work with leaders from all backgrounds with specialist experience in coaching leaders in business operations, people operations and talent acquisition operations. Here’s what people have to say about working with me. Review the brochure to learn more. Identify what to do next! Help to navigate the right path and make decisions when faced with change, uncertainty and ambiguity, or simply too much to do! You’ll create space for sustainable change by shifting mind sets, habits and behaviours with the help of an experienced and supportive coach. I work with individuals and also offer team coaching programs. My name is Carol Howard and over the past 20+ years I have coached individuals, teams and leaders in the workplace with an emphasis on sustainable change, performance improvement, communication, confidence building and goal setting. I am an experienced and trained coach, consultant and facilitator. Pragmatic. Practical. Fun. No-nonsense. Action-oriented. Do I have a coach myself? Of course I do! I am a member of the ICF and abide by the ICF Code of Ethics. And here’s what people have to say about working with me. As recommended by the ICF for all professional coach practitioners, I work under ongoing coach supervision. A motivating, interactive and energising approach to exploring your objectives or goals supported by strategies, actions and conversations to keep you engaged and on track. It’s a process that combines reflection, action and learning. We work to expand and challenge thinking to support a shift from impasse to action, and to generate positive and sustainable behaviours. It’s a process based on action and awareness. If you’ve made a commitment to tackling professional or personal development goals this year, coaching is a great fit for you. I am involved in coaching both corporate and self-funded coachees from all backgrounds, sectors and stages of life. My approach is practical, empathic and no-nonsense. Coaching is not just for executives and seasoned leaders. Early-in-career professionals and new managers also improve capability, effectiveness and confidence. Contact me to schedule your first session to experience coaching first hand, get your questions answered and see if it’s for you. Coaching has a long history of effectiveness and draws upon disciplines as diverse as philosophy, counselling, psychology, sport coaching and behavioural science. Brain-based coaching draws from contemporary neuroscience, along with research from positive psychology, adult learning theory, as well as systems and change theories. For additional information see Coaching: Frequently Asked Questions. Shift your thinking. Change your world. ©2018 Black Birds Three. All Rights Reserved.